Both SynCAM 1 and 2 are alternatively spliced in the exons encoding the extracellular O-glycosylation stalk, the juxtamembraneous region rich in predicted O-glycosylation sites31. Splicing generates SynCAM forms that either lack or contain a stalk with up to 21 predicted O-glycosylation sites. This analysis of variable splice patterns draws attention to the O-glycosylation of SynCAM 1 and 2, but functional roles are not understood. 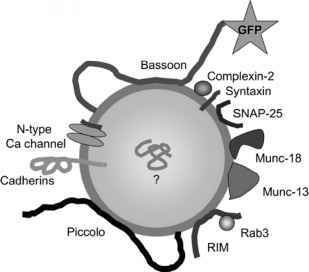 Overall, the high similarity among members of the SynCAM family to SynCAM 1 and the fact that they are also expressed in brain32 indicates that they could share functions with SynCAM 1 in the developing nervous system. This question is currently under investigation.